​Forward Gaming will attend ESL One Hamburg with a stand-in. Steve "Excalibur" Ye will be playing in place of the team's normal mid laner, Yawar "YawaR" Hassan. Unfortunately, due to some visa issues @YawaR_YS would not be able to attend ESL One Hamburg. ​​YawaR will be unable to attend the event in Germany because of some visa problems. This isn't the first time it's happened with this event, as Evil Geniuses ​recently revealed that Quinn "CCnC" Callahan will be standing-in for Sumail "SumaiL" Hassan because of similar visa issues. 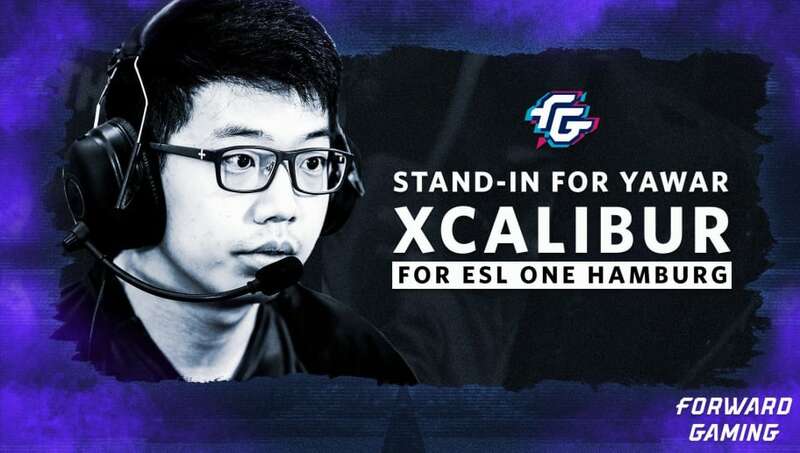 Excalibur was formerly a Fnatic player, but has played for a variety of different teams in 2018. Most recently he's been playing the mid lane/carry role for DeToNator, a Japanese team captained by pro-player and caster Chan "WinteR" Litt Binn. ESL One Hamburg is one of the first ​Dota 2 tournaments of the season, but as of this year the tournament is not part of the Dota Pro Circuit, meaning there are no DPC ranking points to be awarded to teams. The group stage starts on Tuesday and will last for two days until the upper bracket begins.